Watch Manufacturers and Collaborative Relationships – I Already Have a Watch. Interesting story in today’s NYT about watch manufacturers and the promotional relationships that have grown beyond the simple payment of prootional consideration fees. 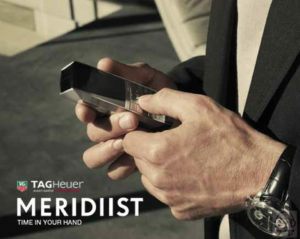 The TAG Heuer Meridiist mobile phone line has long been a topic of discussion and in some case derision, as skeptical fans and collectors pointed to the apparent disparity with the brand’s core products and accusing TAG of simply exploiting existing luxury distribution channels and markets. Critics of Omega have long complained that the ostensible association with NASA was tenuous at best, and only in the last few years (see Michael Phelps, Beijing 2008) that it has begun to become clearer to collectors the extent of Omega’s involvement development participation. The NYT article is especially interesting as it summarizes some of the efforts of other makers as well. Of absolute news to me was the Ulysse Nardin mobile phone that uses a mechanical rotor to help recharge the battery. That one gets a mixed reception from me though, mainly since I think it perhaps unlikely that a rotor system could contribute much more than a bare percentage of charge unless the wearer were especially active. And of course, while technologies like Seiko’s “Kinetic” and Omega’s defunct “Omegamatic” made use of the same principle of a system that could generate and store electric power, so far as I’m aware UN has little previous experience or history with such systems. How to Keep That “New Watch” Smell? Tagged with marketing, Omega Watches, TAG Heuer. I do see this as a slippery slope, I am also surprised to about UN. I am not suggesting Tag is a fashion brand because they are not, but this certainly can begin to create that illusion. Let’s not forget that “perception” is “reality” in the real world. Only time will tell…In the mean time, Tag has been putting out some great new pieces with their rotating disc.